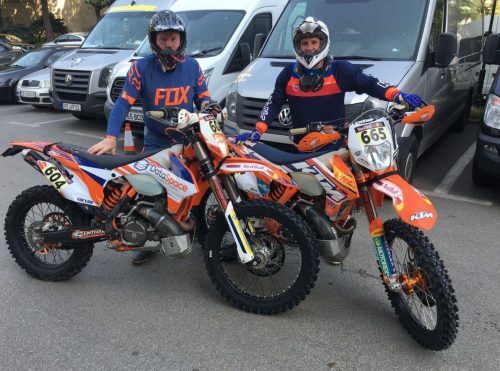 DataSpace UK Ltd are proud to be sponsoring Neil and John Trevor and Professional Hard Enduro Athlete Paul Bolton at this years Red Bull Romaniacs. DataSpace have always supported local charities, community events, schools and sports teams. This year we are so excited to be sponsoring Neil and John! DataSpace is a family run company with many Fathers and Sons, and Mothers and Daughters working here together. With that said, Neil is the younger brother of DataSpace’s Managing Director Paul Trevor and John is Paul and Neil’s father. John is now retired but entering Enduro Motorbike Races at the age of 70 years old, we think it’s safe to say there is no sign of John slowing down just yet! Paul is also doing his bit for Red Bull Romaniacs DataSpace Team as he is providing the support for the enduro riders. Neil and John will be both be riding a KTM 250cc. EXC in this years Red Bull Romanaics, they are competing in the Iron Man section of the event. Neil and John are very experienced riders, with over 80 combined years of riding. 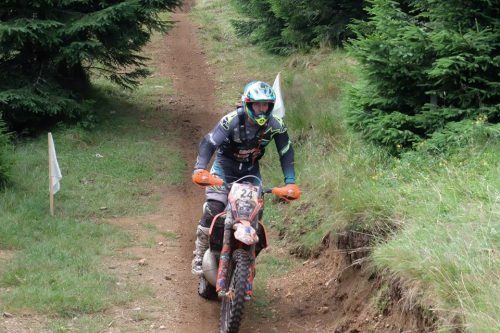 DataSpace also are proudly sponsoring Paul Bolton who is a professional Hard Enduro Athlete for the second year. Paul Bolton has provided so much support and expertise to John and Neil during their training for this years Red Bull Romaniacs! Paul Bolton is back to his best after suffering a bad injury last year. 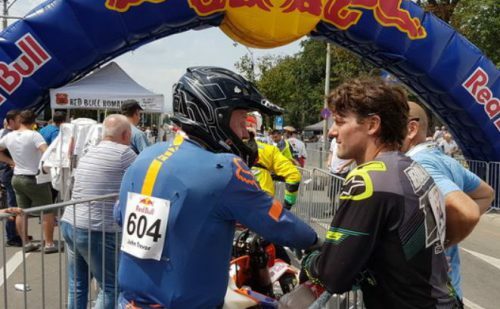 Paul is riding his KTM 300cc EXC in this years Red Bull Romaniacs, and coming 6th position in the Gold Category on the first day is very impressive. Here is a snap of Paul Bolton giving John Trevor some last-minute tips.